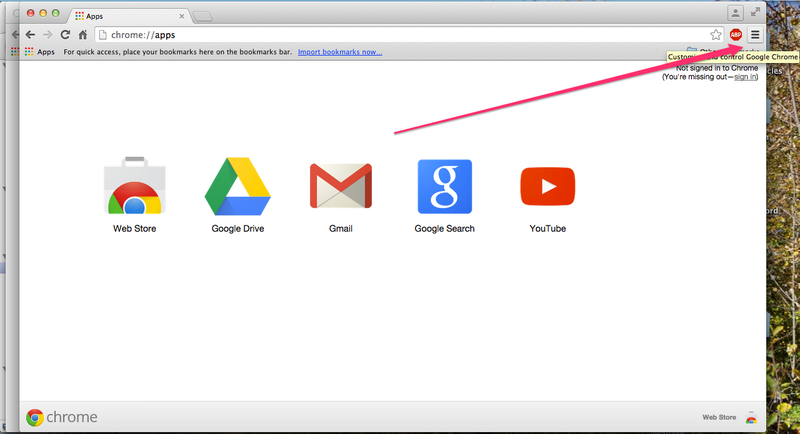 Click the three-line “Chrome Menu” button in the top corner of any Chrome browser window. 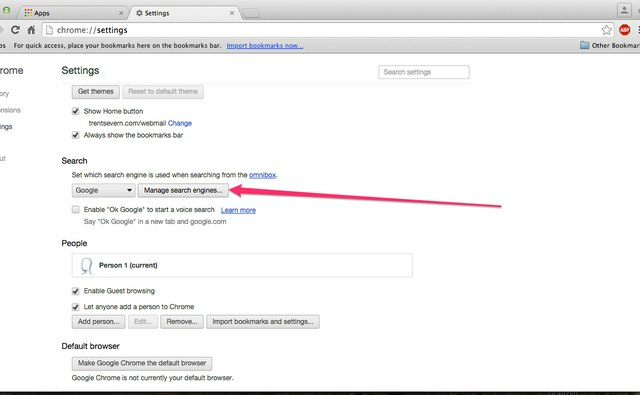 Select “Settings” to open Chrome’s Settings panel. 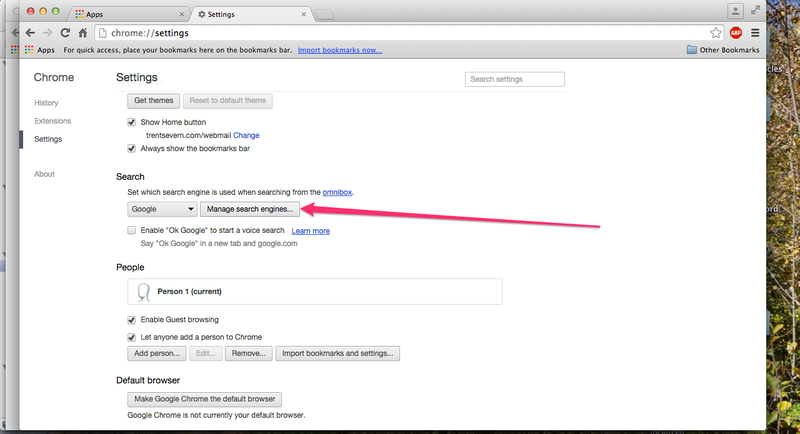 Scroll down to the Search section of the Settings panel and click the “Manage Search Engines” button. 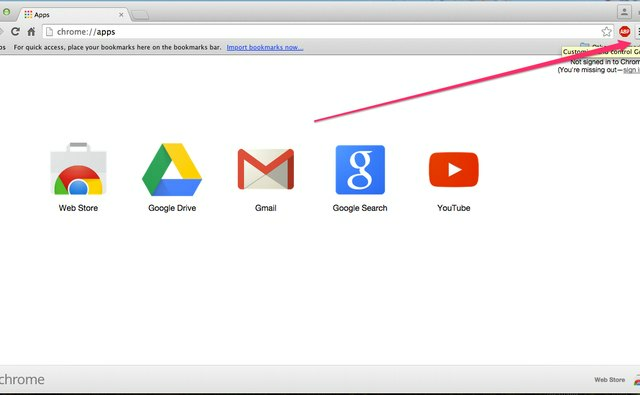 When you click this button, Chrome displays a list of search engines currently set up for use in Chrome. 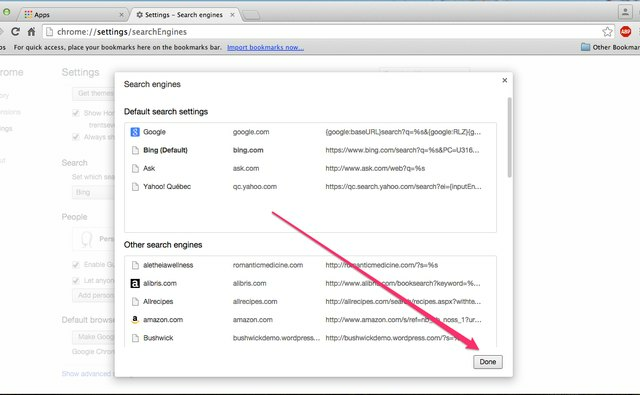 Hover your mouse over the search engine you want to set as your new default and then click the “Make Default” button. Click the "Done" button to save your changes. 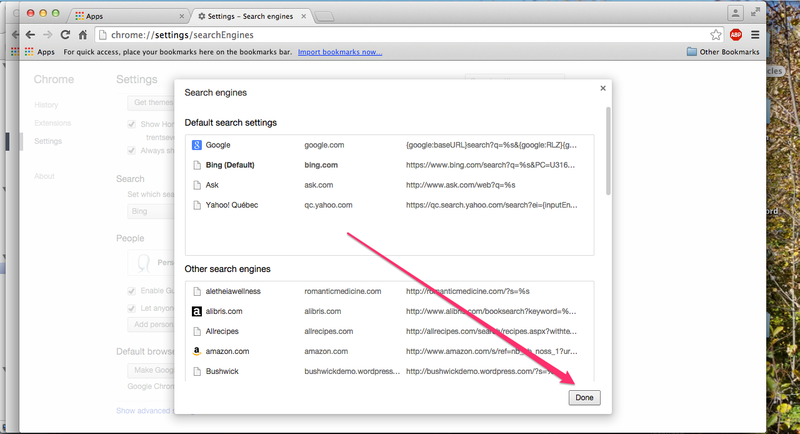 If the search engine you want isn’t listed, use the Manage Search Engines window to add it. Scroll down to the bottom of the Manage Search Engines window and enter the required details for the new search engine in the provided fields. 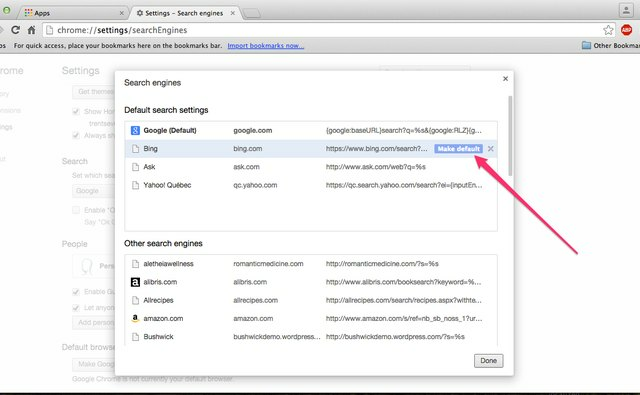 Once you’ve added the engine, hover over it on the list of available search engines and click “Make Default” to set it as the default. 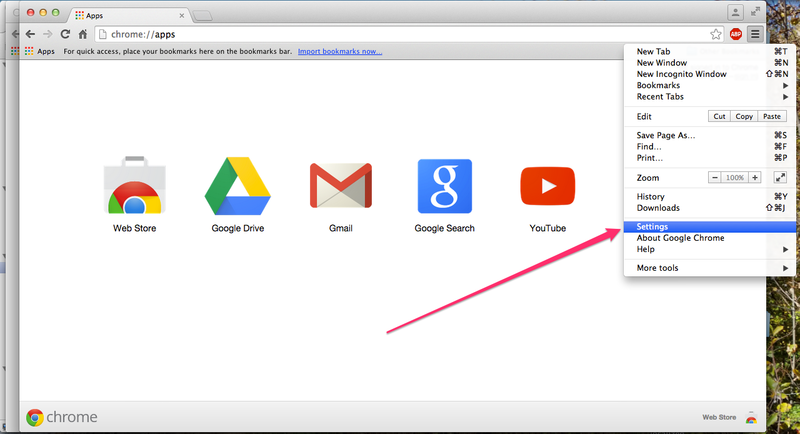 If you’re using Chrome on a smartphone or tablet, you change your default search engine slightly differently. 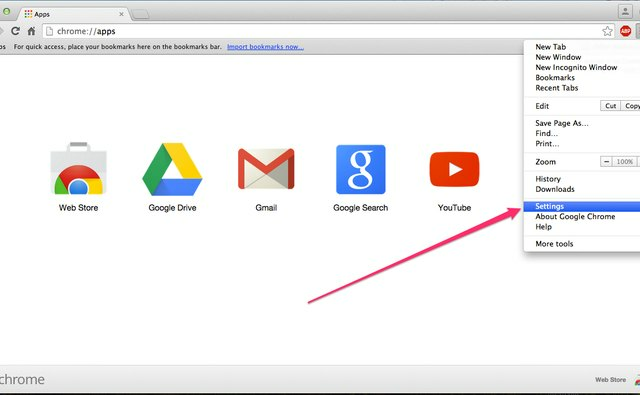 Tap the “Menu” icon in the top corner of the browser and touch “Settings” to load the Settings panel. 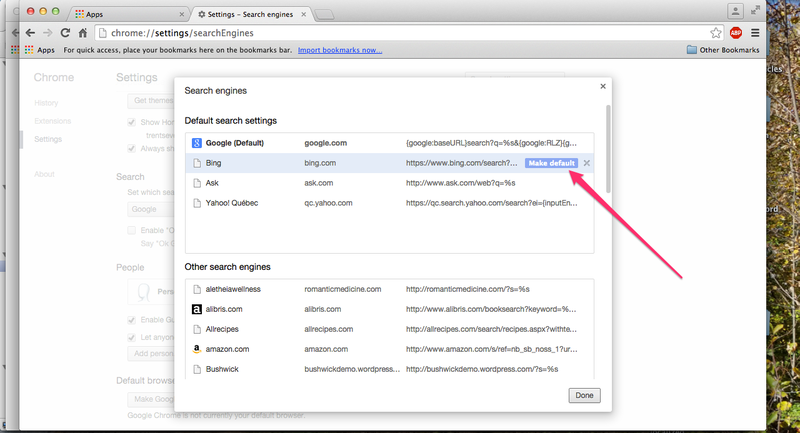 Tap “Search Engine” under the Basics heading and choose the browser you want to set as your default.